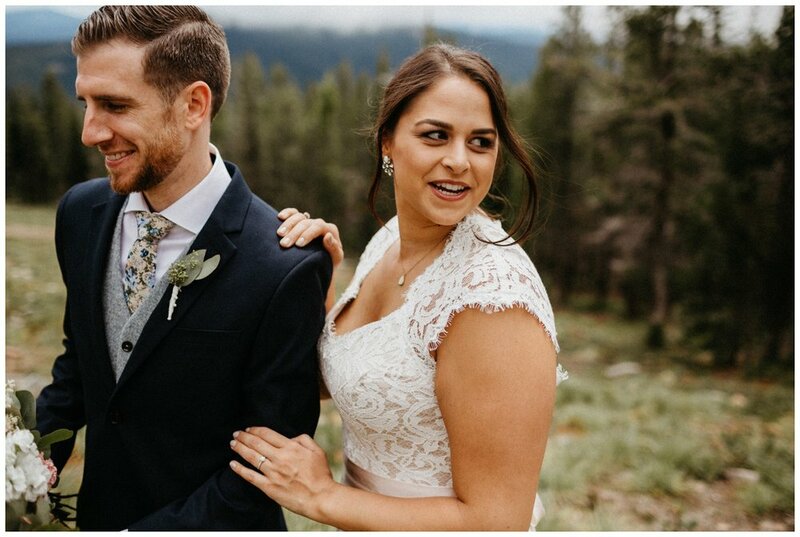 Alexandra messaged me on instagram wanting me to shoot her and her fiance’s elopement that was only a week away on Valentine’s Day. It sounded like the cutest thing ever and I was so glad that I was open! 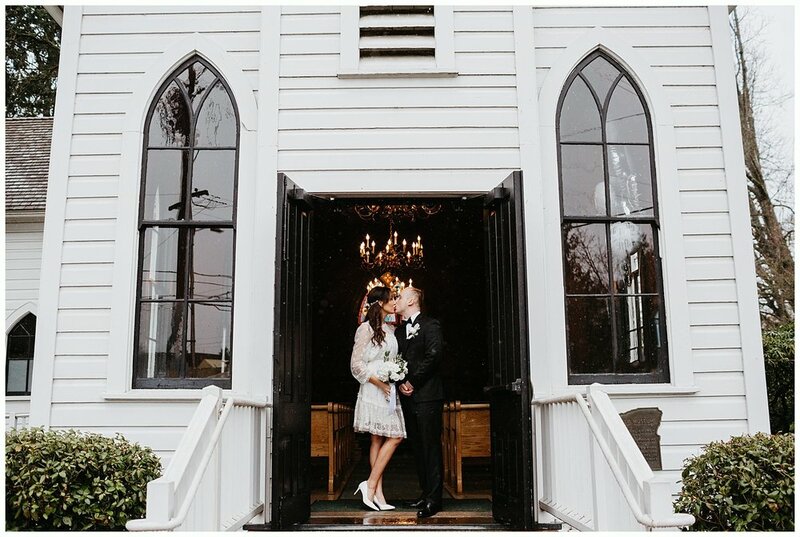 Their venue was Oaks Pioneer Church over in Sellwood. Such an adorable and cozy spot. I couldn’t have chosen a better way to spend my Valentine’s Day, honestly. 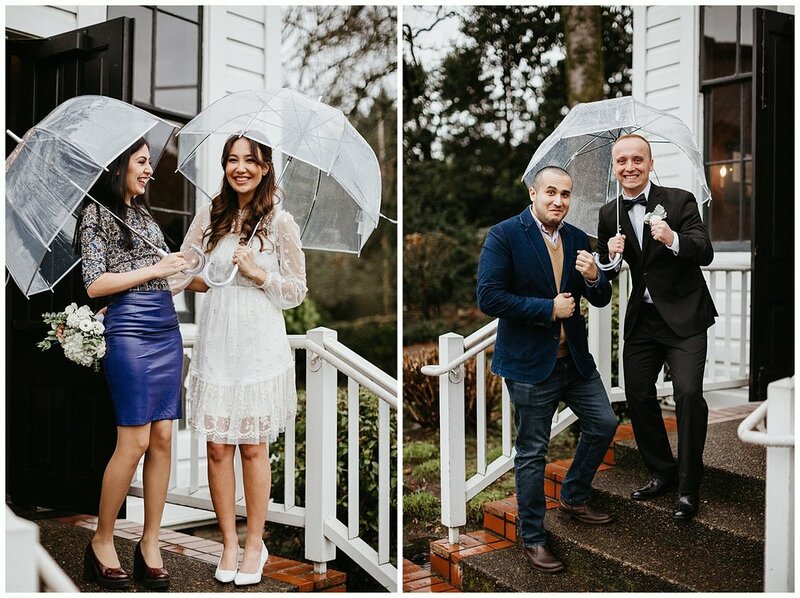 This tiny elopement on a rainy Portland day will forever be a favorite of mine. 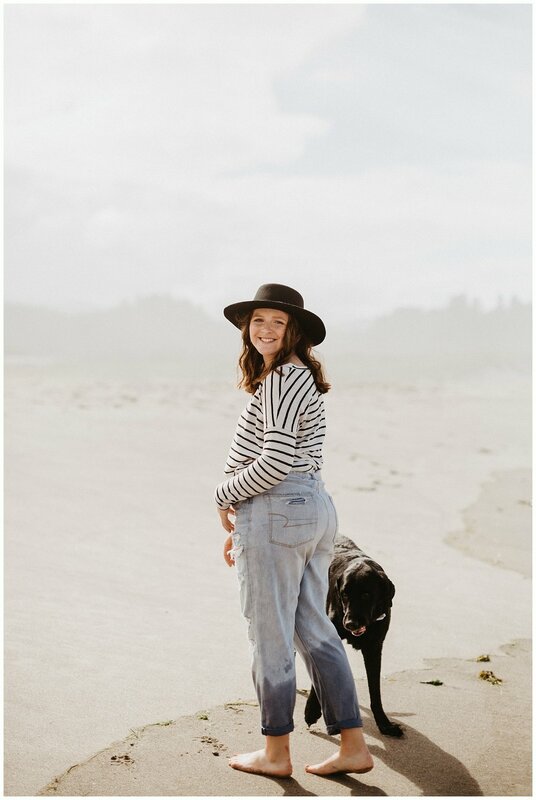 Cate-Lynn’s adventure session at Cape Kiwanda was SO MUCH FUN!! 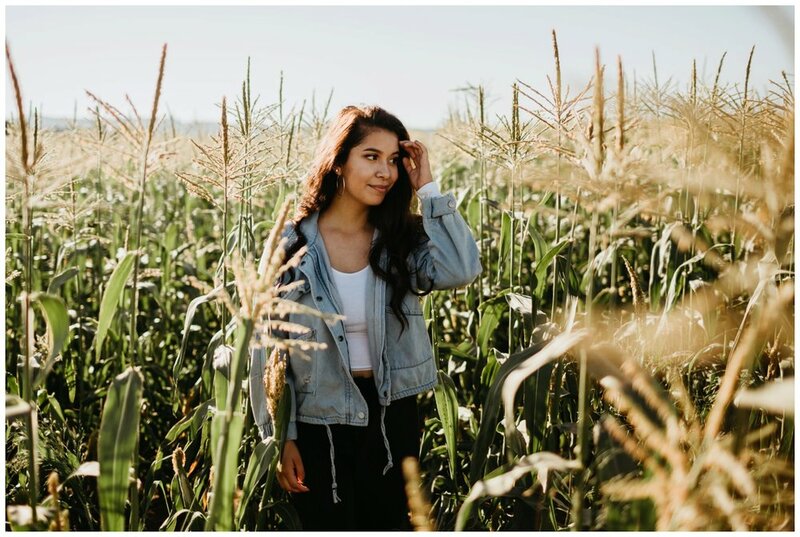 She wanted to do her senior portrait shoot at her summer camp that she went to and worked at because it was so special to her. I always love shooting at places that are meaningful to the senior because it makes the images that much more special! 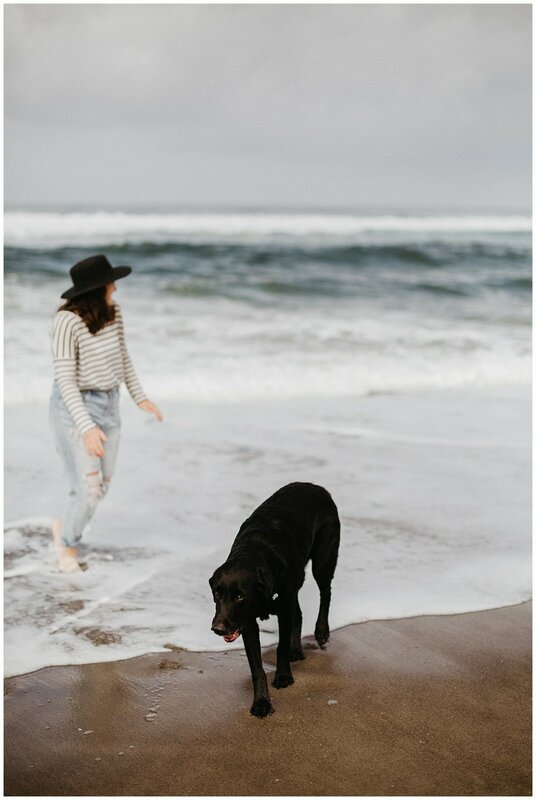 We explored around the area and found the cutest spots. She even brought her dog!! He was so cute and fun and loooved being in front of the camera. 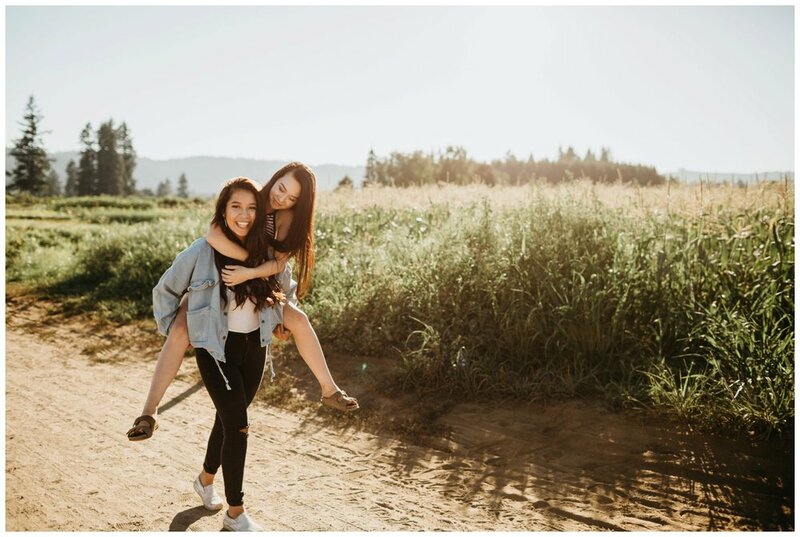 Adventure sessions are great and a little different from regular sessions because we basically just pick an area to explore and just find the cutest spots for photos for a few hours! It’s like hanging out with a friend, listening to music, tons of outfit changes and just taking the best photos! I feel like a lot of people talk about golden hour as being the most magical time of the day for that gorgeous golden light. Which, I mean, it’s totally magical so those opinions are completely warranted. But, in case you didn’t know, blue hour is kind of super magical too. It’s the time right after the sun goes down and everything is a little bit dreamier, blue toned, with no sunlight to be found. Just a glow of soft and moody light. I think it might be my favorite time to shoot because to me it just makes colors pop more and I love the crispness in the air. 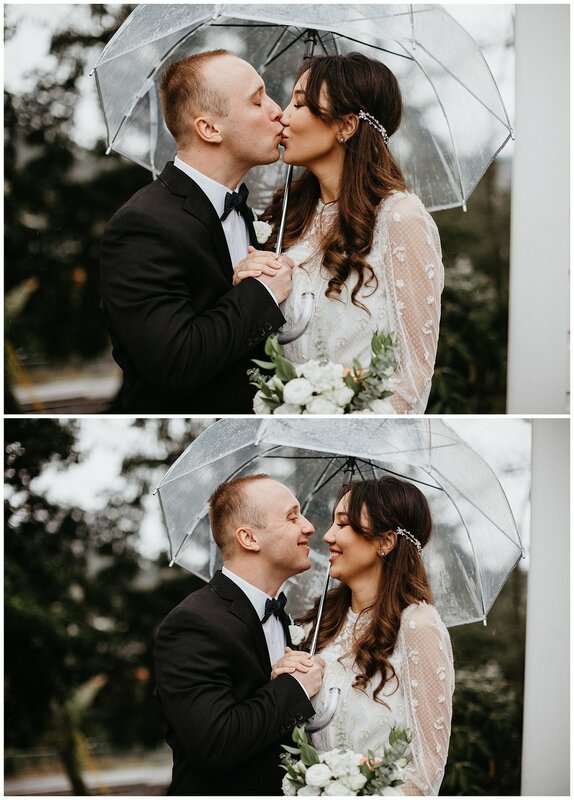 It’s like you can feel it through the photos. 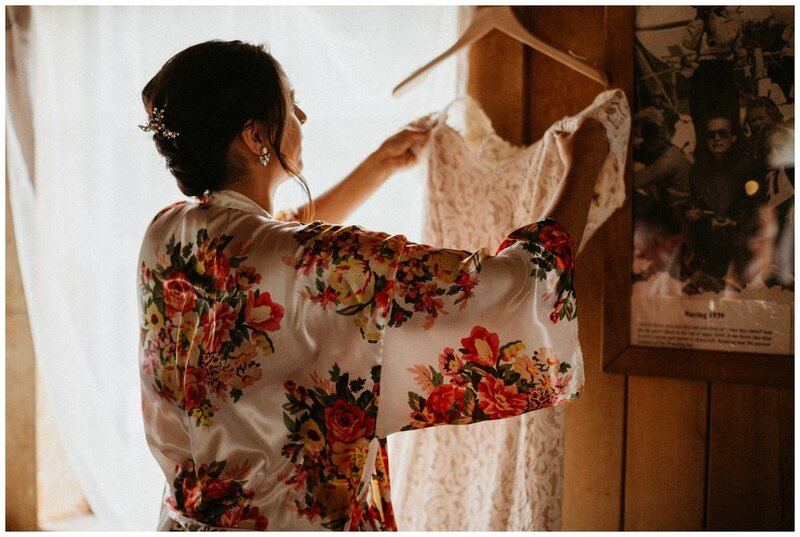 This bridal session is from Sadie + Caleb’s wedding day that I wanted to make a separate blog post for because I love so many of them but didn’t want to include them in the other post and make it take an eternity to get through. 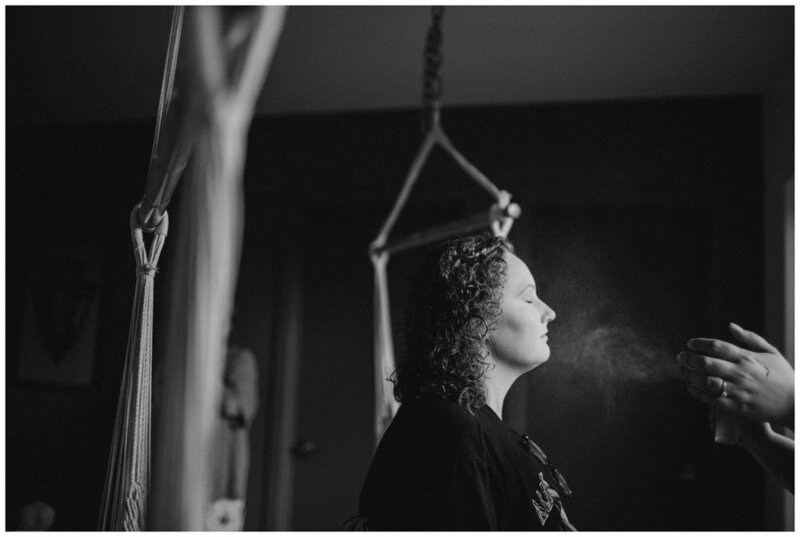 Their venue was in Molalla and had this gorgeous view that I knew would be peeerfect for bridal portraits. 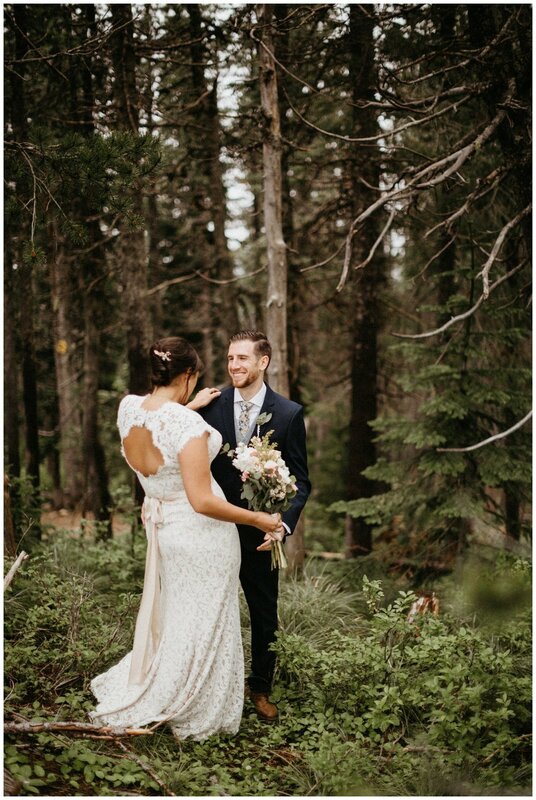 We made sure to sneak off for no more than a half hour (I never want to steal my couples away from their party for long if at all) and had the best time taking these dreamy portraits. I totally recommend making time on your day for blue hour portraits because...I mean just scroll down and you’ll know. 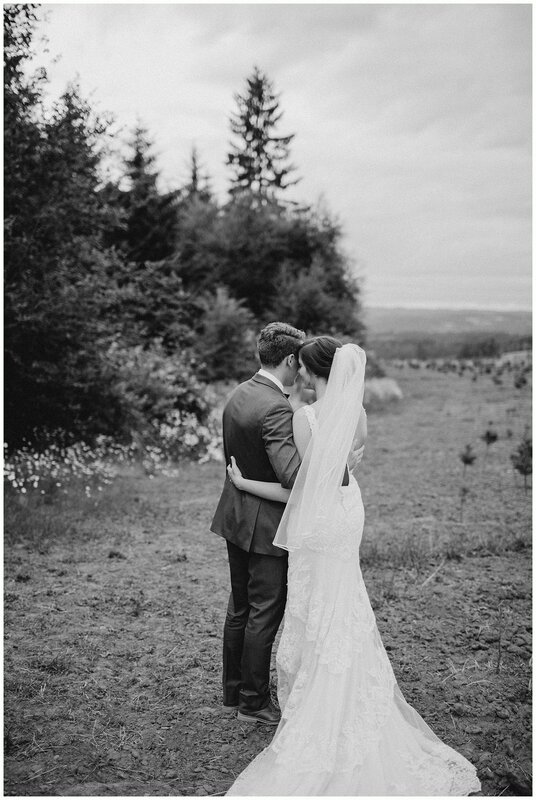 So happy to finally share this Molalla wedding at Home Place Farms. 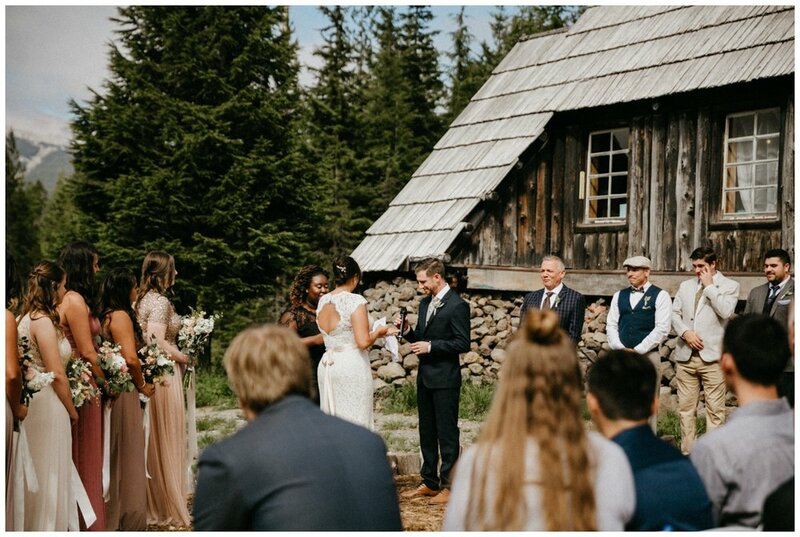 It was such a perfect day and full of laughter, tears and pure joy. 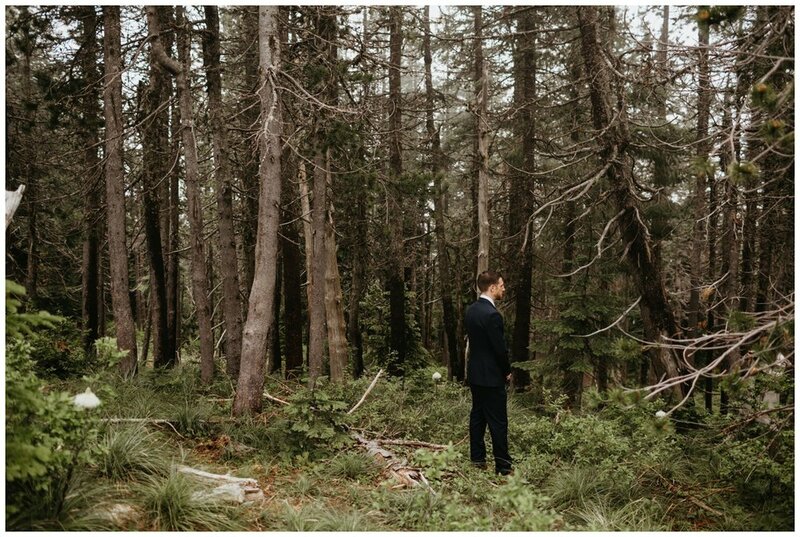 There were a few special moments that were really important to Sadie + Caleb for their wedding day. The day started with a super slow and peaceful morning. 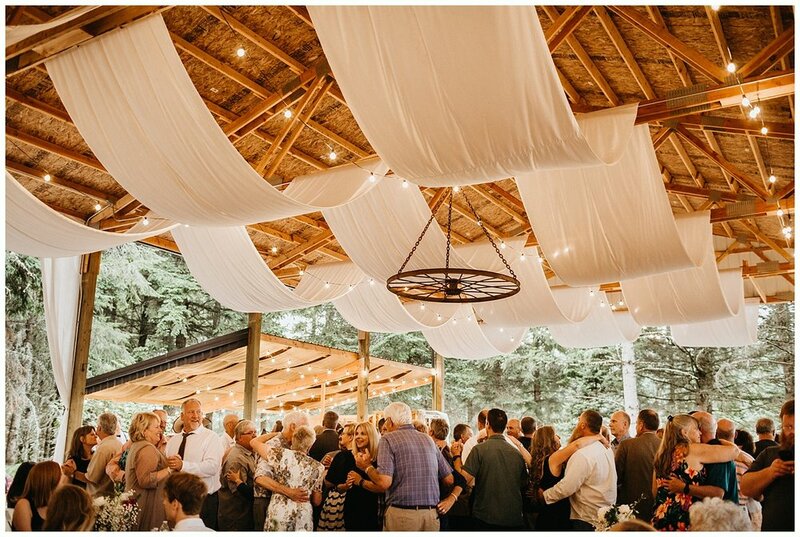 Friends and family were bustling around the venue setting up and making sure everything was perfect. It was a team effort to prepare the venue for such a special day. 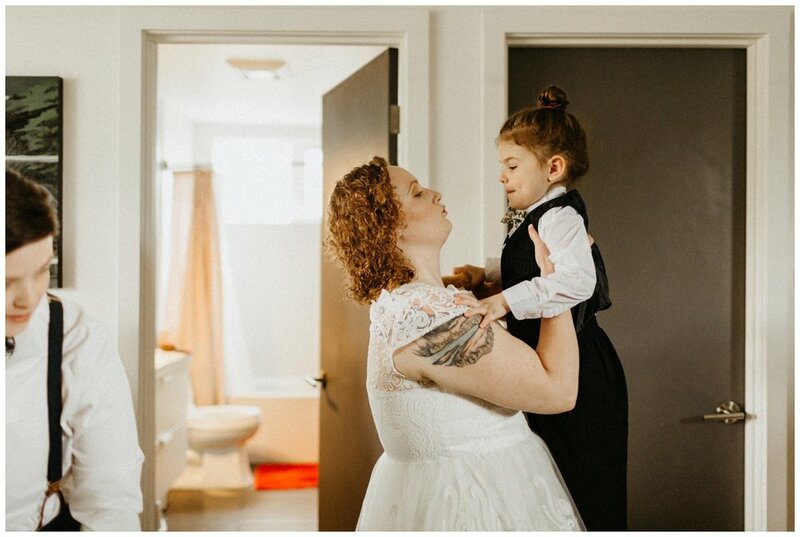 After Sadie’s mom helped her into her dress and veil, Sadie really wanted to do a first look with her dad before the one with her groom-to-be. 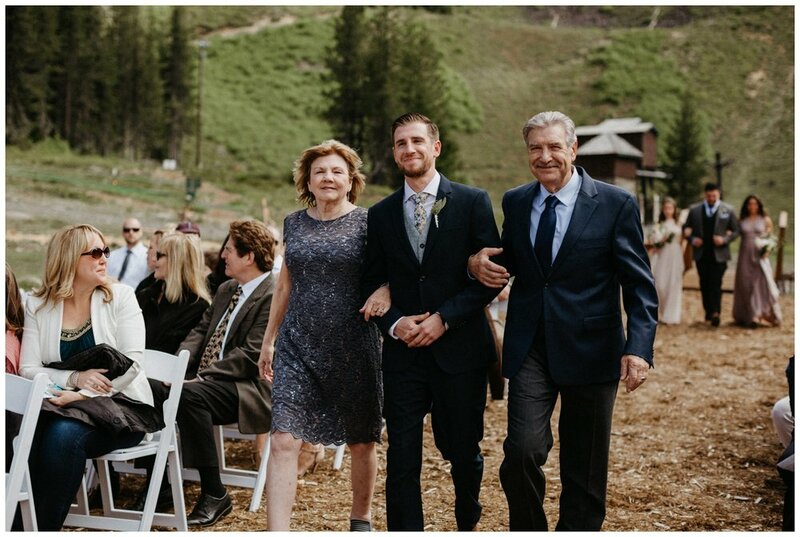 It was such a sweet moment to capture and following that we went to recreate a childhood photo of Sadie and her dad which was really personal to them. 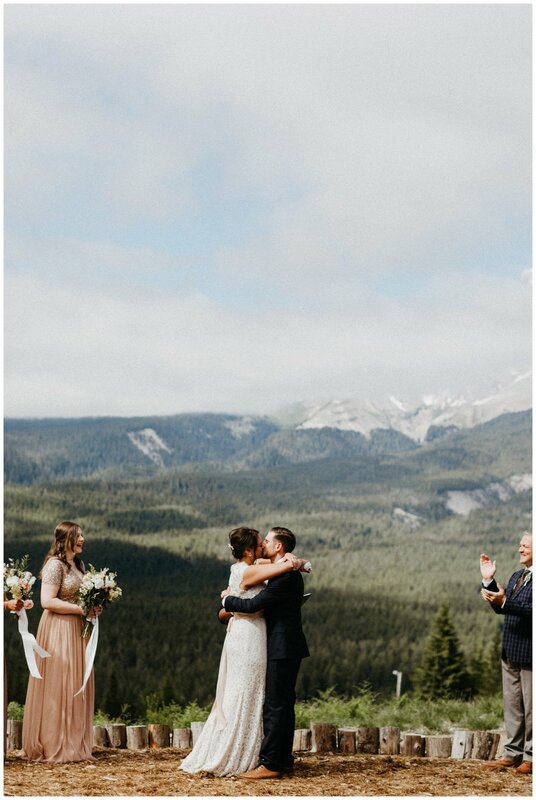 I love things like that because I’m there to capture these memories for my couples and a huge part of that for some is celebrating moments with family. 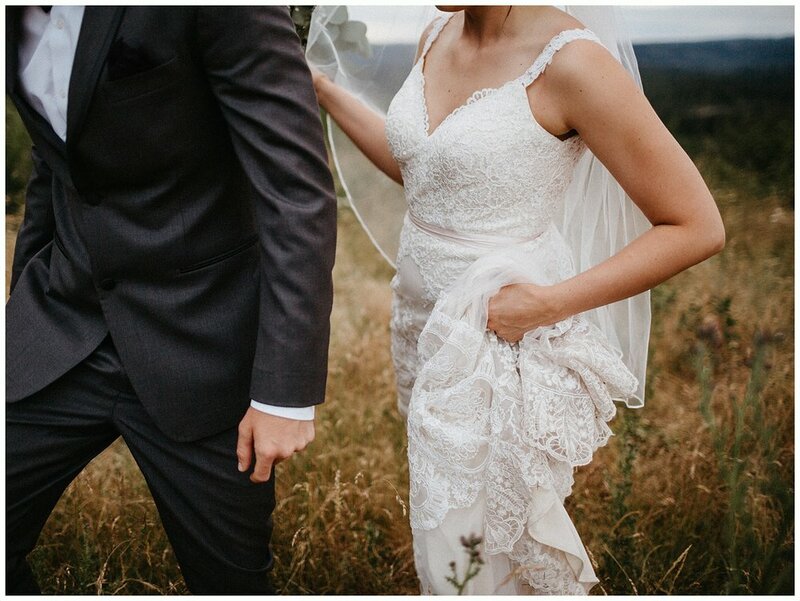 Then it was time for Sadie and Caleb’s first look! 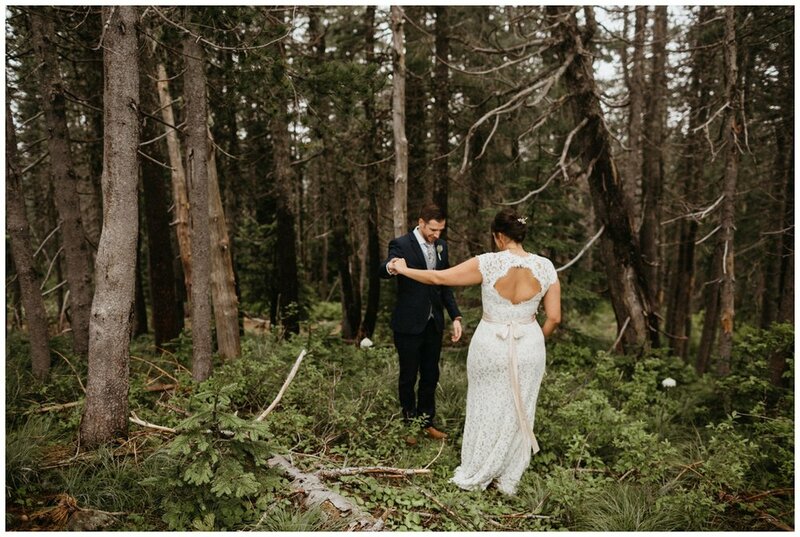 I found a really magical spot in the forest around the venue for them to share that moment together. 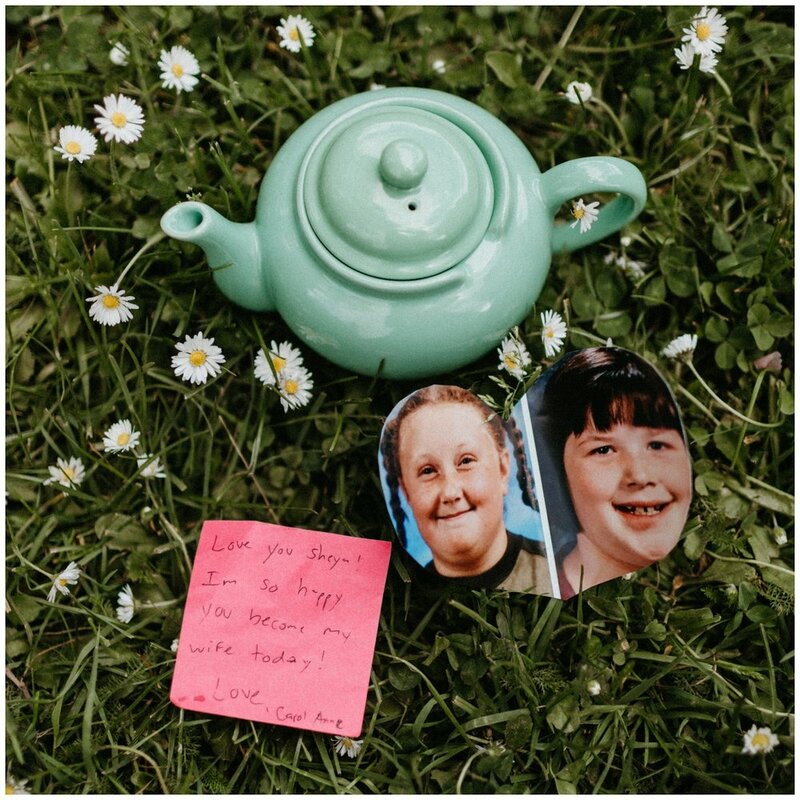 They read letters that they wrote to each other and it was so so sweet. 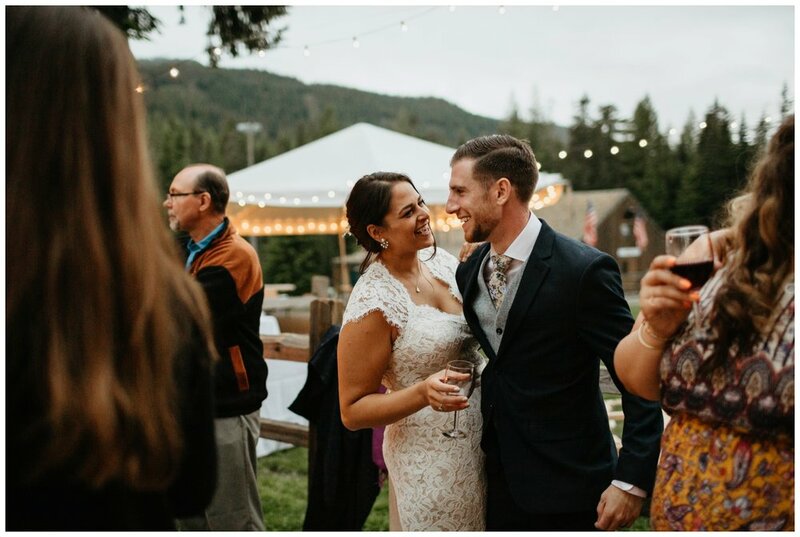 I love when my couples are finally together on their wedding day because I get to witness this moment of peace and joy that they feel as soon as they see the face of their person. 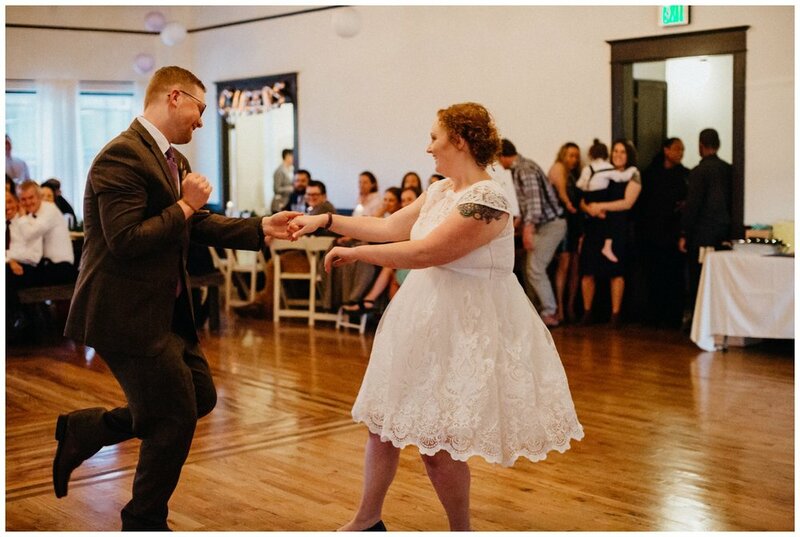 It’s kind of magical and the smiles get me every time. 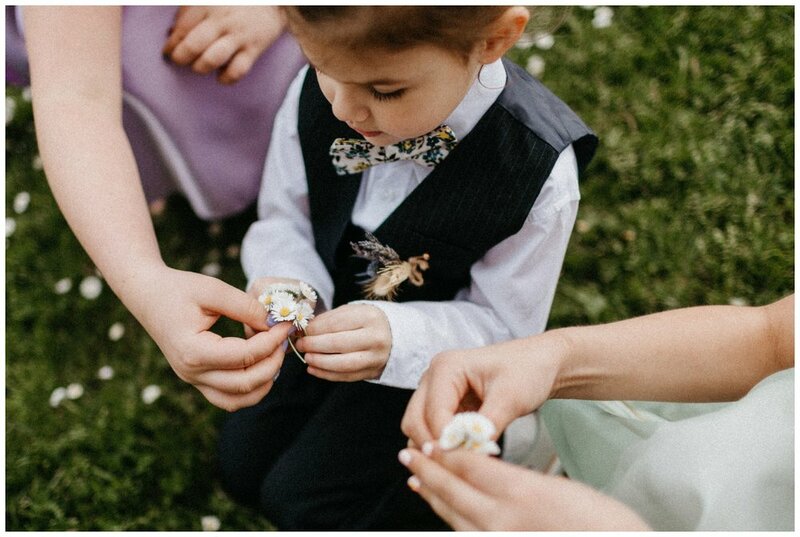 One of my favorite photos from this entire wedding is of Caleb, his brother, and a groomsman (who also happens to be a former groom of mine) all showing off their wedding rings. 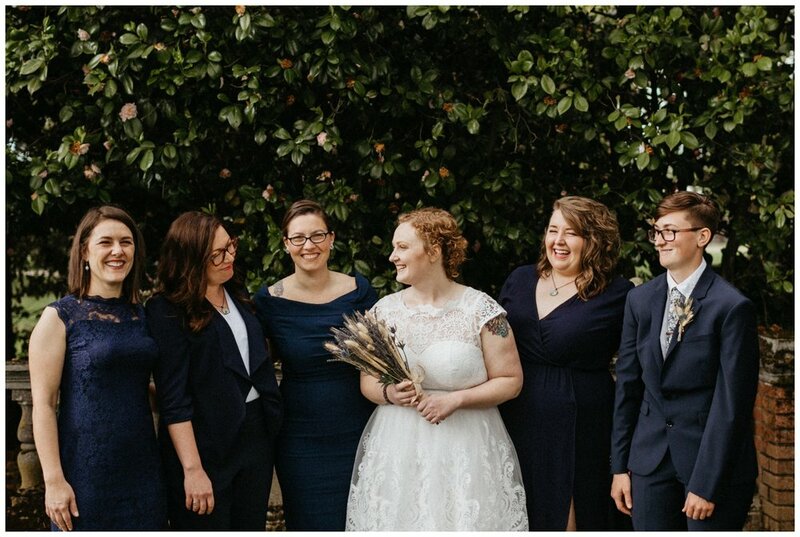 Just so so happy that they all found their perfect person and that they get to be there for each other to celebrate it. We also snuck away for some blue hour portraits (which deserved their own blog post that you can view here). 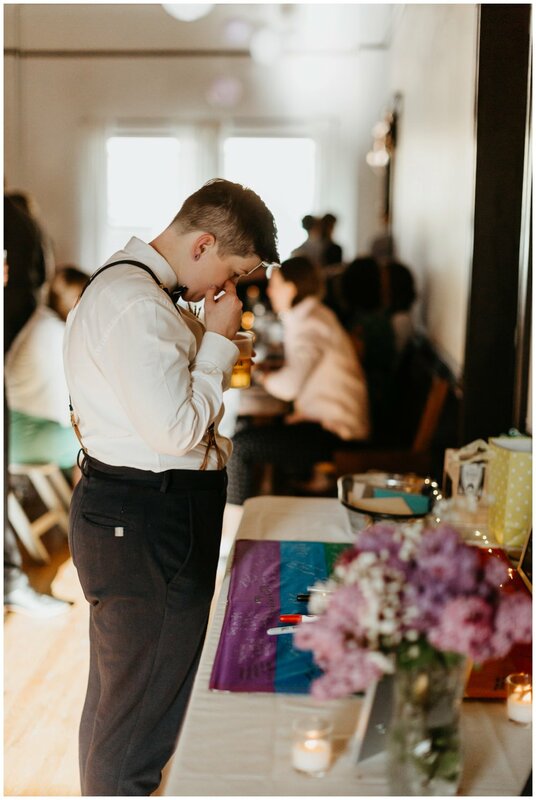 I could literally talk forever about every single moment of this wedding but I will let the pictures do the work for me, haha. 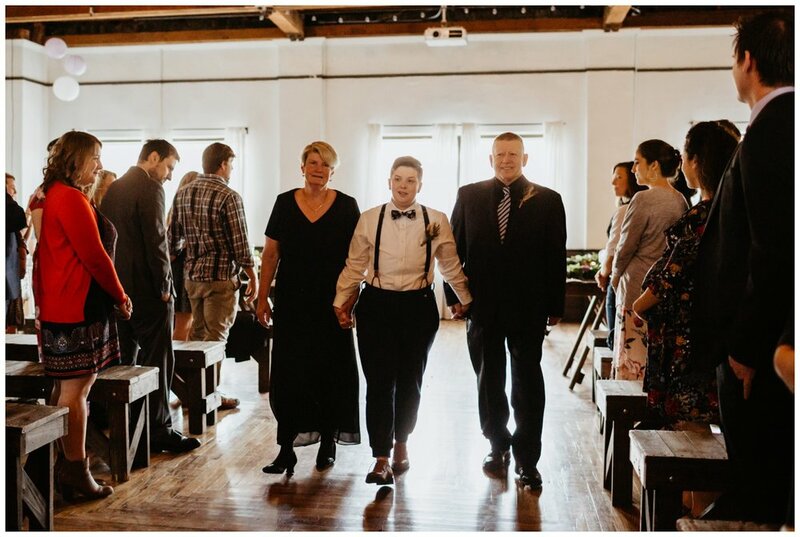 It was such a beautiful day full of love and happiness and I’m so glad that I got to be a part of it. 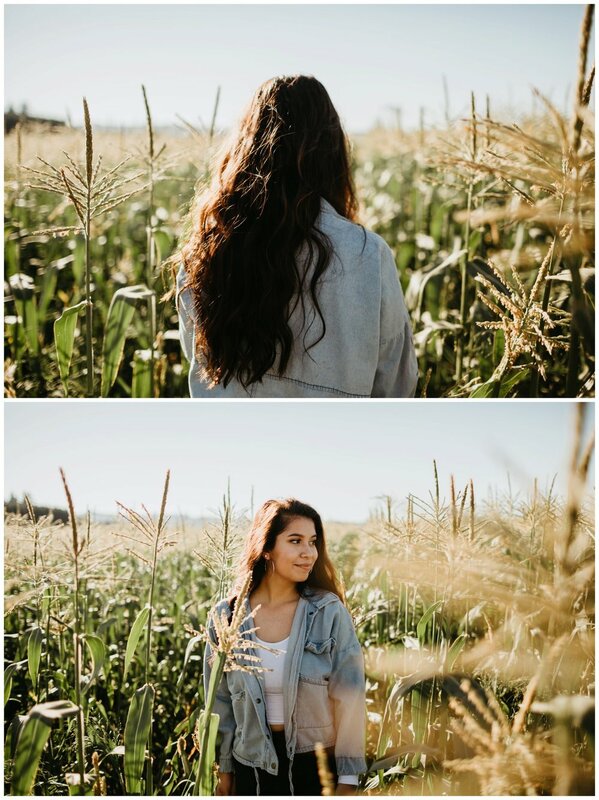 Ana's senior shoot was soooo much fun! 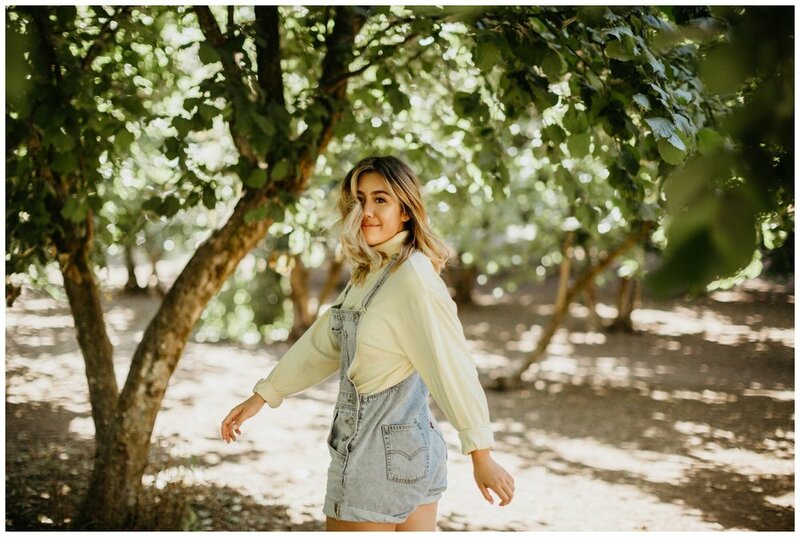 We went to this amazing farm on Sauvie's Island and shot all over!! They had everything from sunflowers to wheat fields! The peach orchard had to be my favorite part because I've never been to one before!! I am obsessed with those cute little trees now!! 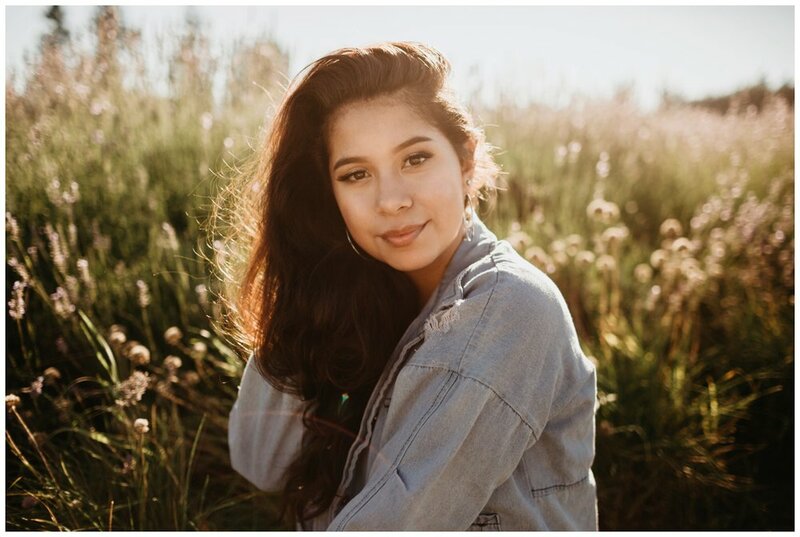 Thanks for trusting me with your senior shoot, Ana!! This Mt. Hood wedding is just so close to my heart I can’t even describe it fully. I have to say that Mt. 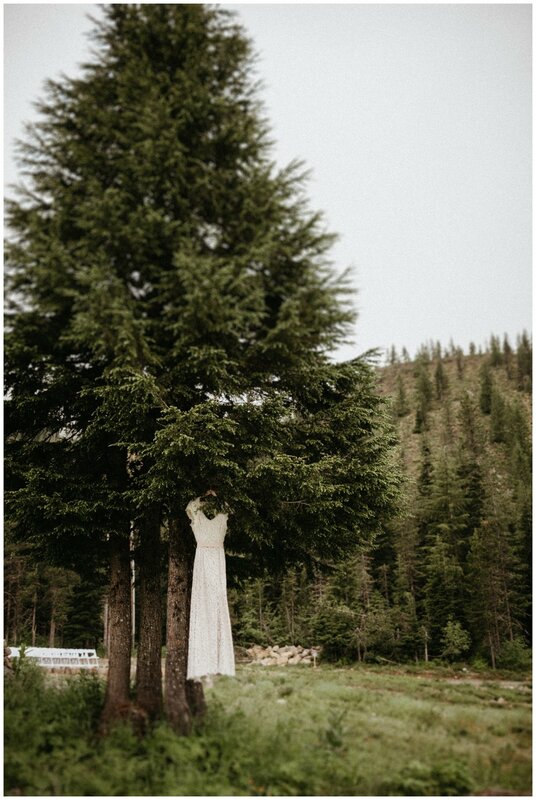 Hood Skibowl is now one of my favorite wedding venues because wow, I mean, the images speak for themselves. 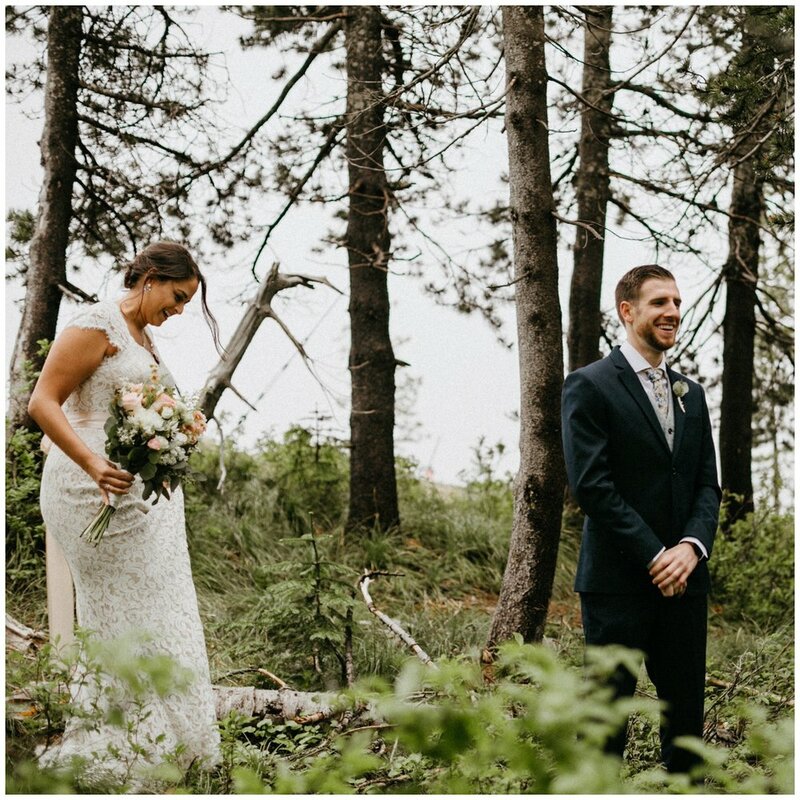 Amanda and Trevor couldn’t have found a more picturesque venue that is the embodiment of all of the beauty Oregon has to offer. 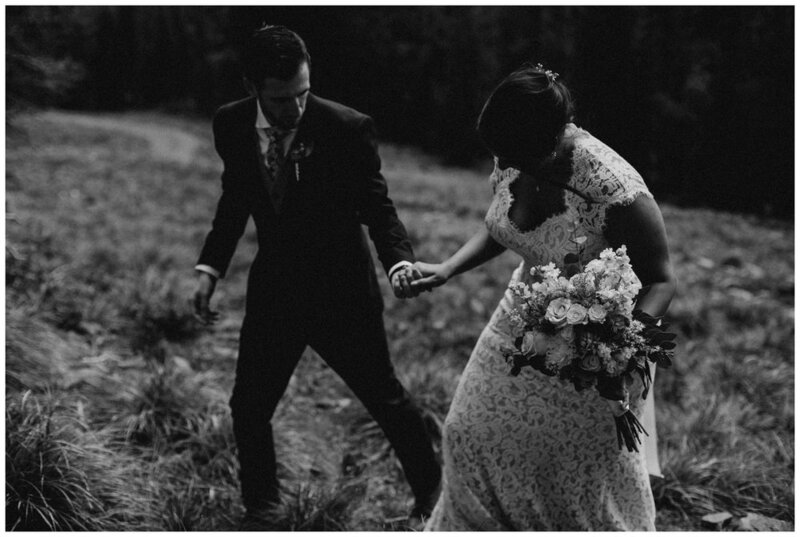 Amanda and Trevor’s day was so emotional and joyful and magical. 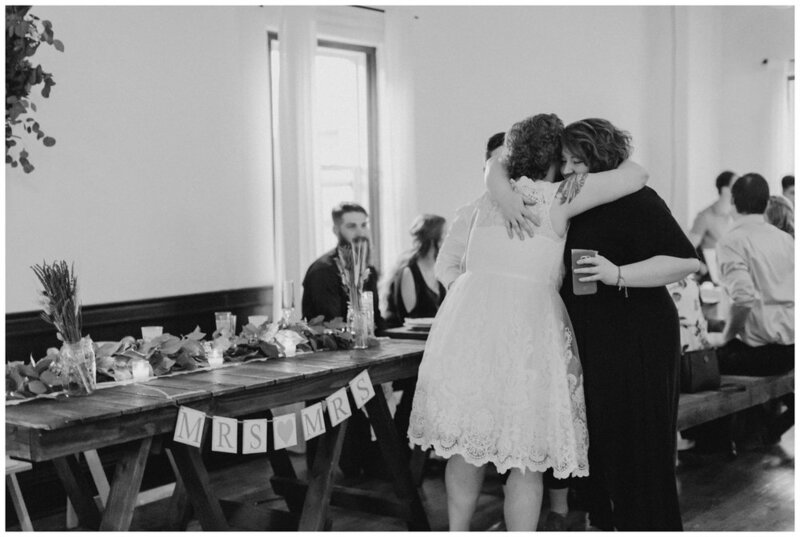 Everyone there was so full of love and ready to celebrate this 7 ½ year love story. I cried multiple times this day, though sometimes of laughter. Cried along with Amanda and her sisters as she walked down aisle, cried with laughter when her dad forgot to give Trevor a hug at the altar, cried during the incredibly heartfelt speeches from their very dear friends and family, and danced and sang with all of their best friends to close out the night. I always have moments in this job where I’m reminded of why I love it so much. Yes of course it’s fun going to beautiful places and photographing beautiful people and getting to be creative. But, the real reason I love my job is all of the meaning behind everything I create and who I get to create it for. That’s the part that makes my heart flutter. That’s the part that keeps pushing me forward. 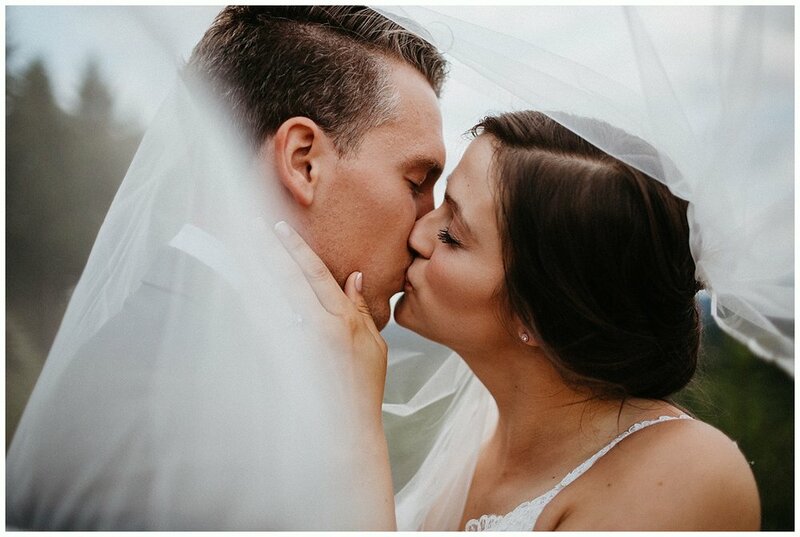 Amanda and Trevor invited me into such an intimate day and were completely open with me so I could capture it exactly how it was. I am so beyond grateful for that. 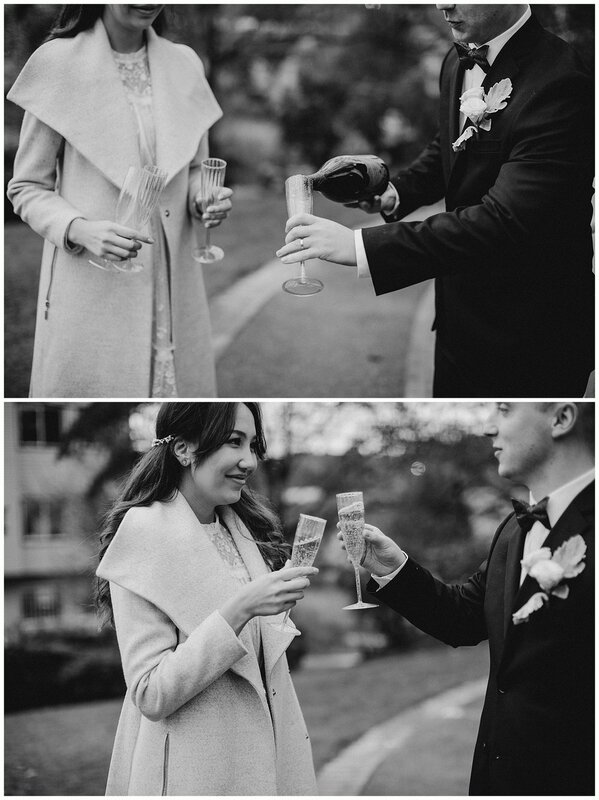 It’s couples like this that allow me to create my best work and to make art out of their love stories. Thank you from the bottom of my heart A + T, I love you guys. 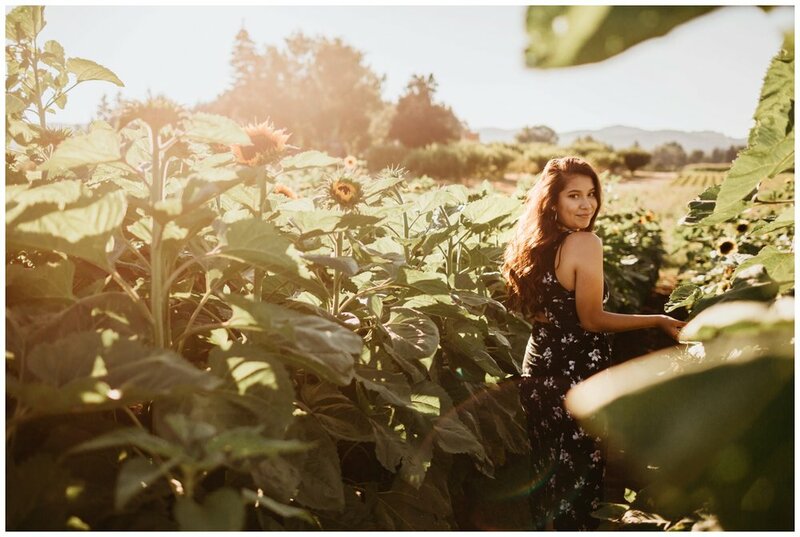 Class of 2019 Senior Session Giveaway! 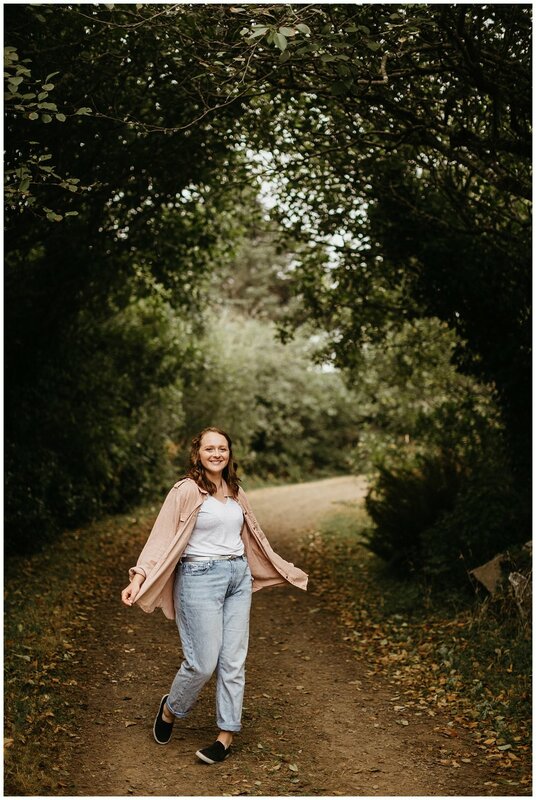 I am so freaking excited because to celebrate the class of 2019, I'm going to give away 2 free senior sessions!! I absolutely looove shooting senior girls and understand that not everyone can afford a full senior session. Everyone deserves to have beautiful images of themselves especially during such an exciting time like this - your senior year!! I want you to have the full senior experience that will be a highlight of your final year at high school! The giveaway ends on August 23rd and the winners will be announced on August 24th on my instagram and facebook! Make sure you're following along to see if you win! 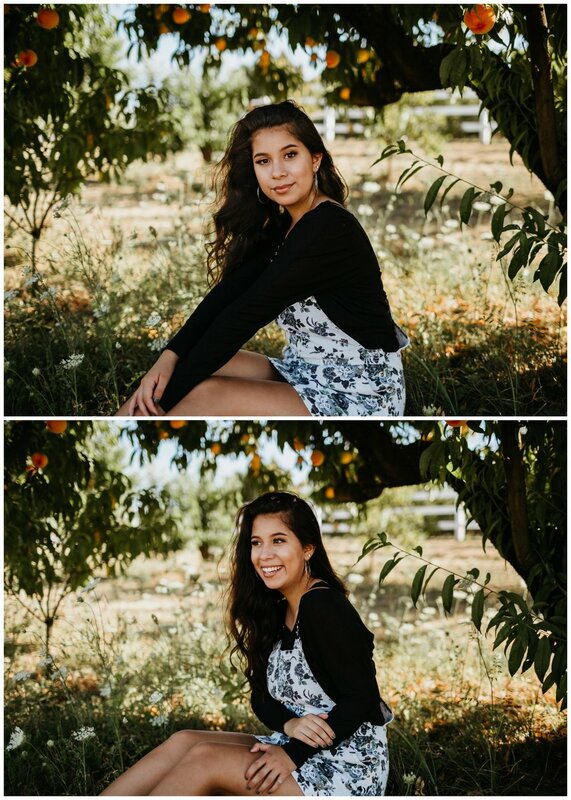 Shooting with Emma was the best! She has seriously amazing style and needs to be my personal shopper for real. It was so fun getting to know her and our shoot was one of my faaaves! 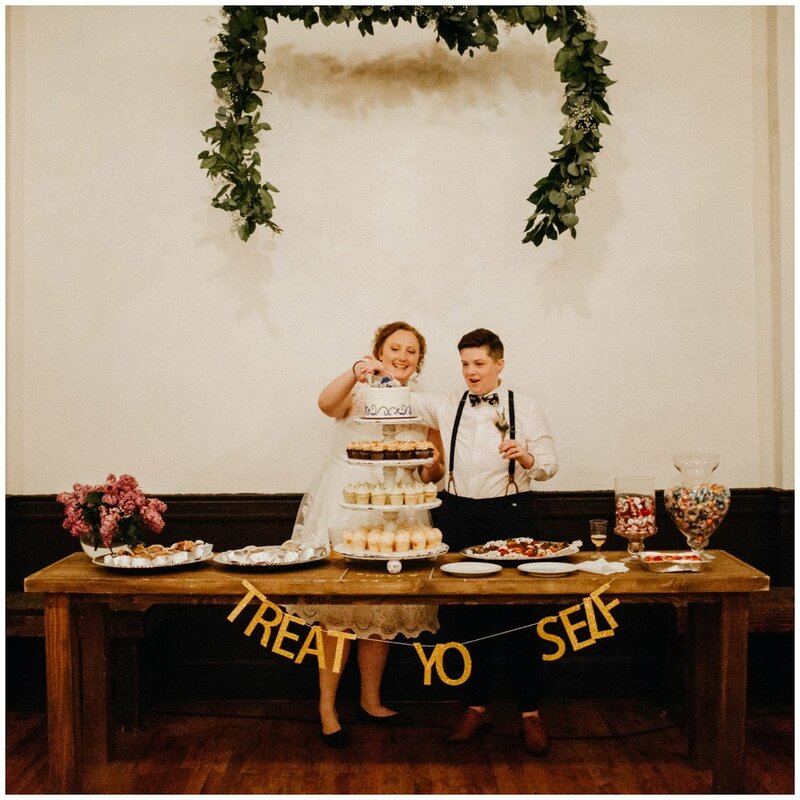 This Baker Building wedding was so so special. 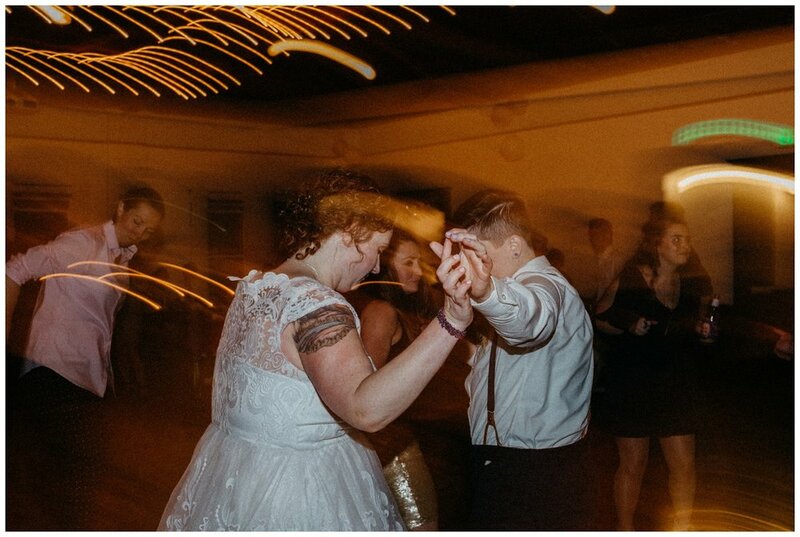 From the Office inspired gift during the first look, to the rainbow outside gracing the reception, to the mega dance party to close out the night. 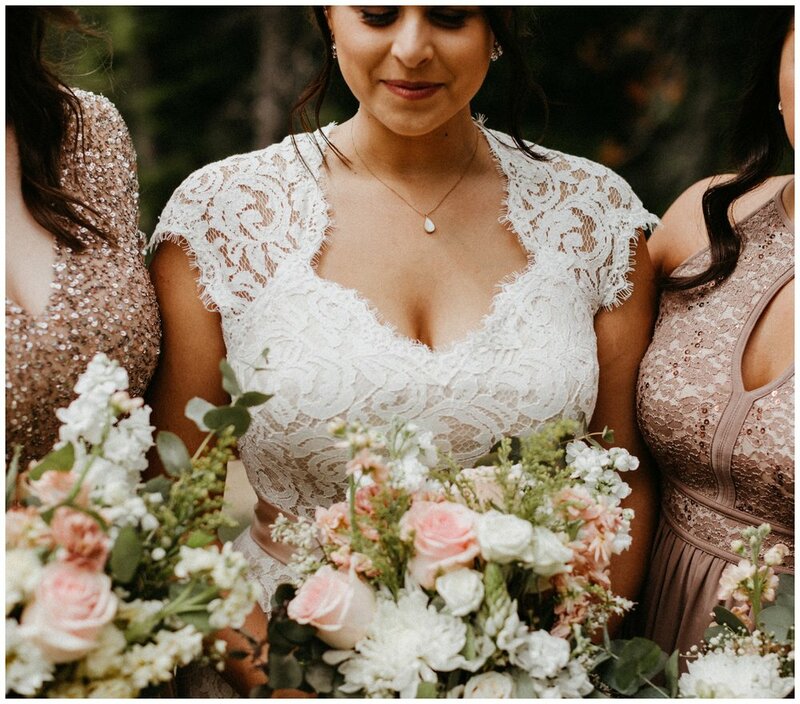 This wedding was beautiful and so true to the brides that planned it. Carol met me outside of their Airbnb and I honestly was so stunned by how amazing she looked but also the smile on her face...you guys...that smile was so telling of how the day would go. 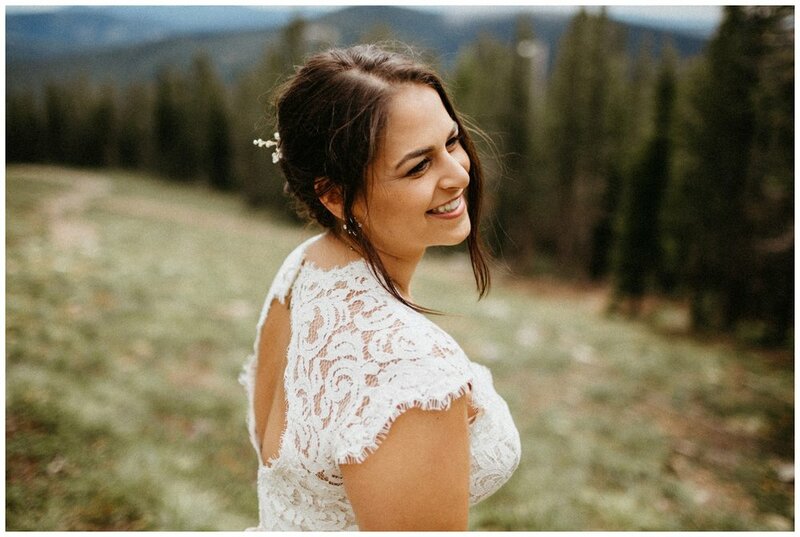 Every time she saw her bride she literally lit up. Like I can’t even describe it other than they’re just made for each other in every way. Plus I got to be a part of one of their favorite days ever? So honored. 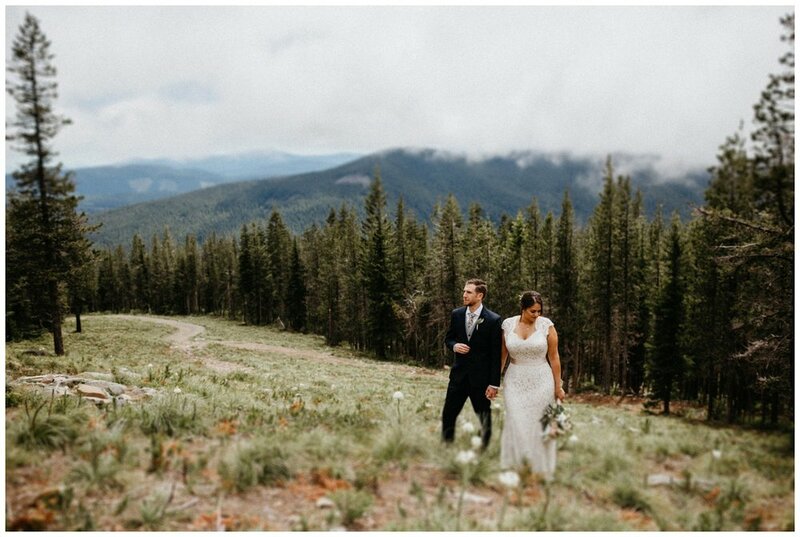 We went to Peninsula Park for the first look and we seriously couldn’t have dreamed of better weather. 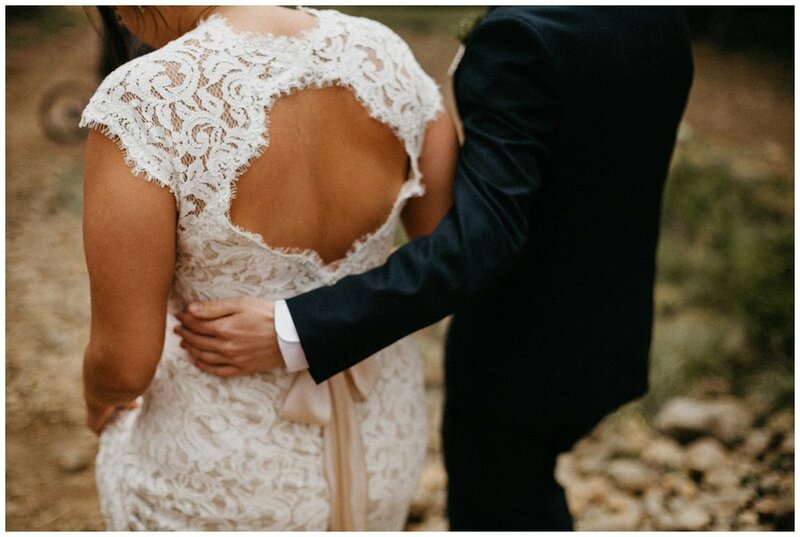 I always tell my couples that shooting outside is the best because natural light is just too dreamy to pass up. 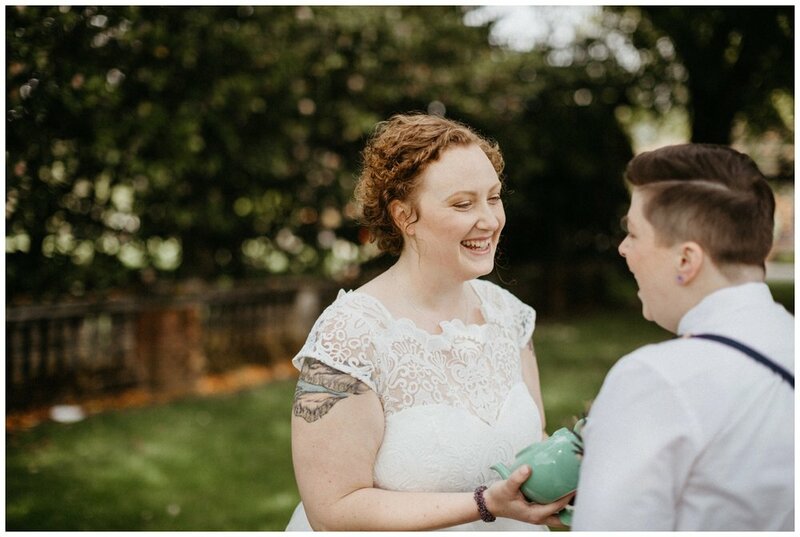 Carol surprised Sheya with the cutest teapot (which was an amazing gift because it came with bonus gifts inside - I love you if know which episode that’s from). Once we were done at the park we headed over to the venue for the rest of the night! 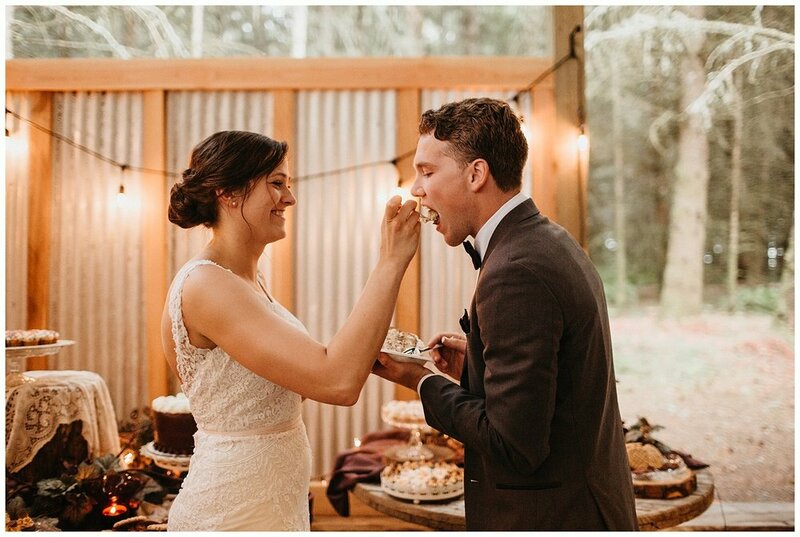 The Baker Building was a perfect fit for them! It was small enough to create an intimate vibe without feeling like everyone was stuffed into a closet. 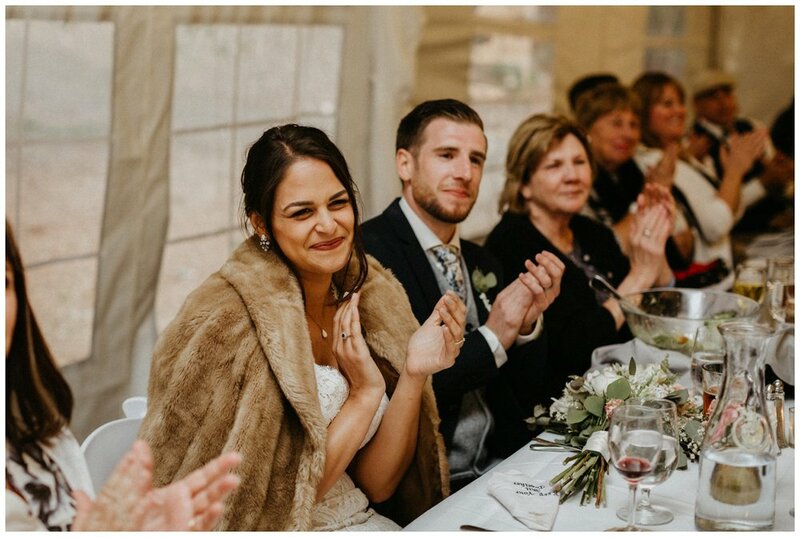 Carol and Sheya really wanted to spend a lot of time with their guests and that’s exactly what they did. 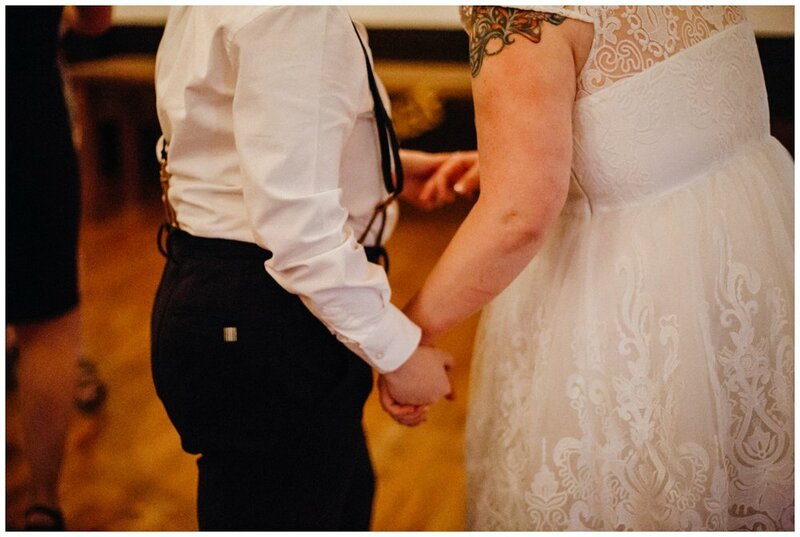 Everyone there was just so happy to see them finally get married and the room was filled with love. 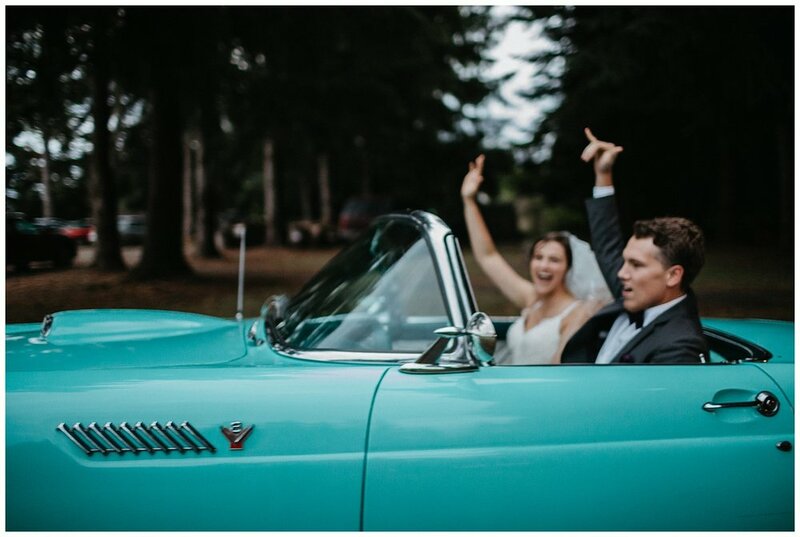 Congrats to you two and thank you for making me a part of your day! 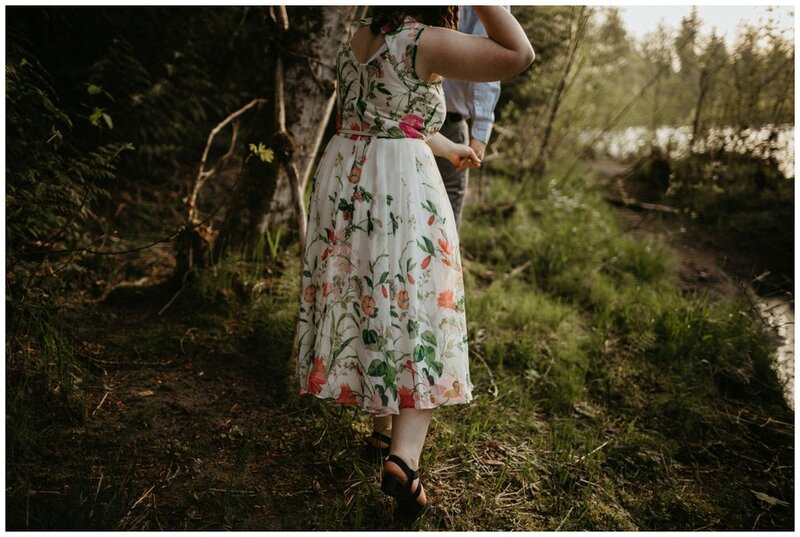 I had such a fun time with Heather + Reid during their engagement session! 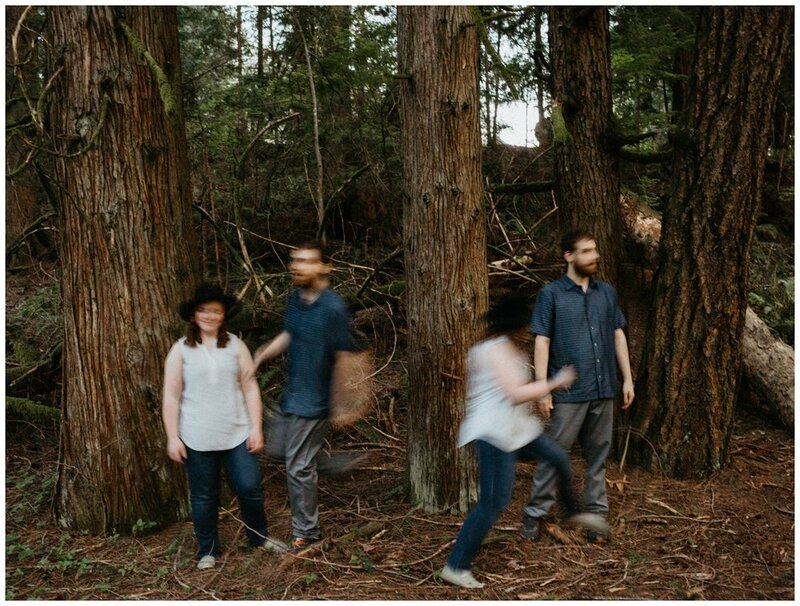 I met them at Reid’s childhood home in Sandy, Oregon. 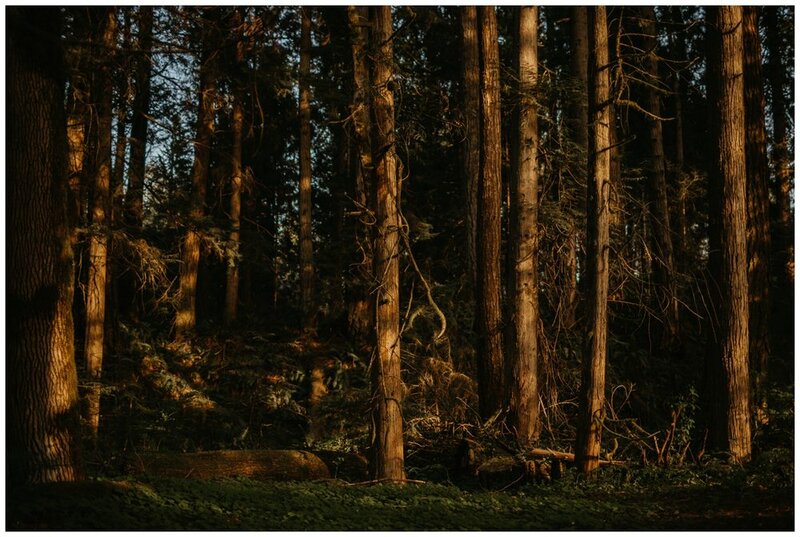 His backyard was a beautiful little forest area on the edge of the Sandy River! What a freaking amazing place to grow up. They told me that they usually stay for a weekend getaway in a little cabin attached to the main house. Just all around super cute Oregon vibes. 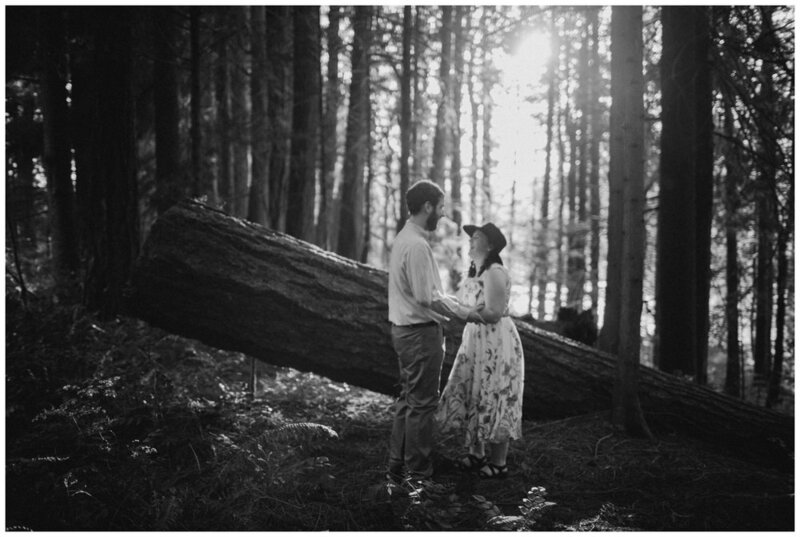 A note to couples choosing their engagement session location: pick somewhere special to you guys as a couple! The photos just hold so much more meaning in the end. 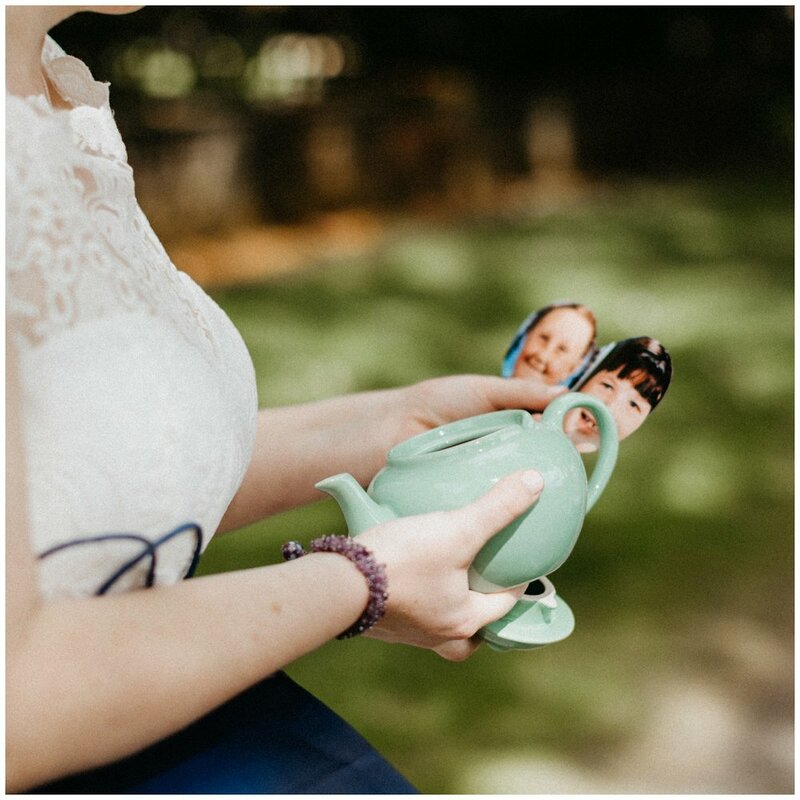 When Heather originally reached out to me about shooting their wedding she told me about the nerdy way they met which was during a game of Dungeons and Dragons. As a fellow nerd, I freaking love when couples meet in games!! I’ve read so many stories of people meeting in World of Warcraft and other online games and it’s so cute because it really shows you that you can meet your person anywhere. Also I almost missed it but during editing I totally peeped those freaking adorable Navi earrings. 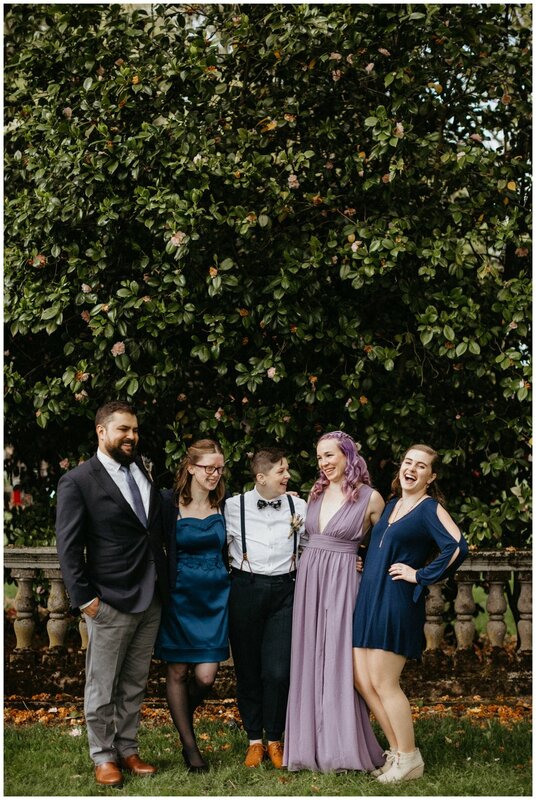 Heather warned me that they would be super awkward in front of the camera but turned out to be total naturals (as usual with like all of my couples). They were totally romantic and comfortable and it was like they were just on a cute date in the forest. I love them because they let me get creative and weird even though I made them run around. All of my couples are seriously the best. 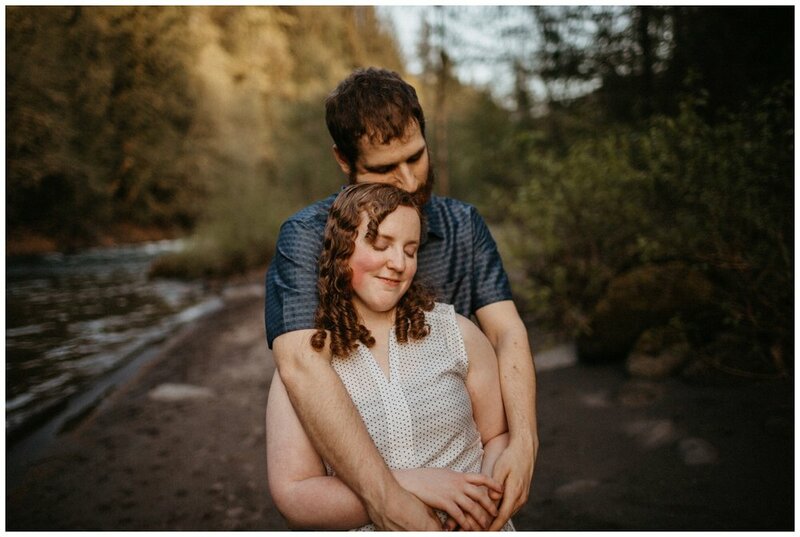 I can’t waaaait to shoot their October wedding!! Congrats you guys!! See you soon.